The Stag and Huntsman is a 300-year-old pub which has been converted into a fine restaurant and a country inn in what is apparently Britain’s most photographed and filmed village, Hambleden. It is a beautiful, beautiful village, located between Marlow and Henley, and is littered with quaint country cottages and surrounded by rolling fields and lush green hills. The Stag and Huntsman offers rooms, but as Hambleden is just under an hour’s drive away from London, it can also easily make for a day’s getaway, away from the hustle and bustle of the Big Smoke. The Stag and Huntsman is an impeccably run venue and offers an almost picture perfect balance between quaint and modern, refined and relaxed, helped in no small part by a most welcoming and friendly host, Marius, the manager. The Stag and Huntsman is decidedly a smart place, yet the kind that doesn’t make you uncomfortable should you pop over in casual clothes. The furniture and the colour scheme of the interiors is the right amount of cleverly calculated with a relieving touch of haphazard. The building is a historic pub, extended and refurbished such that there is almost a warren-like layout. This was rather entertaining – a sort of life size puzzle set up to test your intellectual capacity to find exits and entrances. As we wandered around the establishment, we would occasionally catch glimpses of the cooks busily poring over what would be our meal for the night. 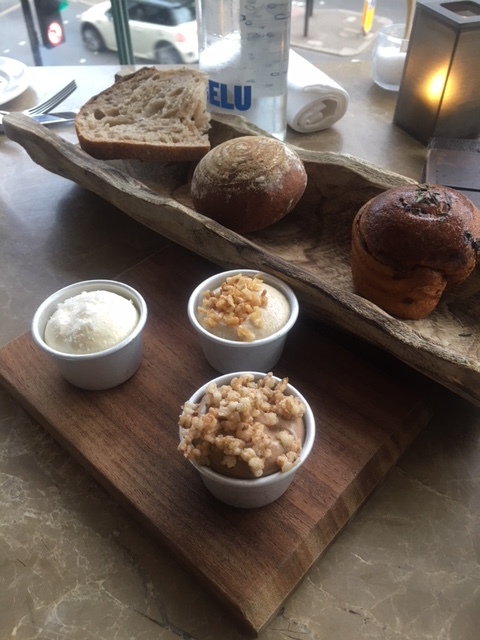 The food that we tried was delicious, the kind of country pub dining that sets out to satisfy – hearty and comforting, precisely executed and cooked with confidence. The duck liver parfait (£8) was rich and strong, and a far cry from the effete fluffy concoctions that are sometimes peddled to diners in London with too much cream and not enough flavour. 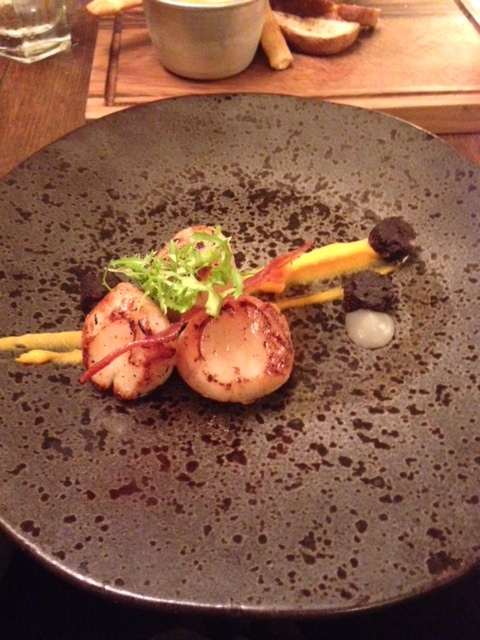 The seared scallops (£12) were daringly matched with black pudding and apple and further enhanced with some squash puree. The pigeon breast (£7) was seared to perfection with a welcoming blush of pink on the inside and perched daintily on top of an artichoke. A dab of creamed beetroot and some creamed Jerusalem artichoke introduced a timely wintry touch. The combinations of ingredients were well thought through. 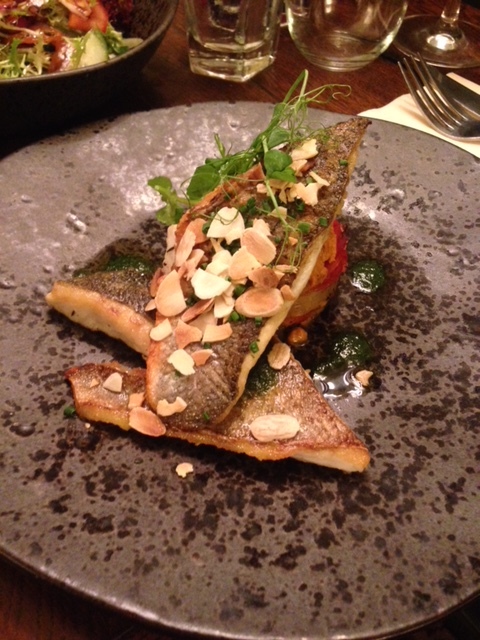 Moving onto the mains, the crispy seared bream fillet (£18) with creamy grilled peppers, lush romesco sauce, and fragrant roasted almond flakes proved to be a veritable fandango of flavours. However the fish itself seemed to lack that luscious vibrant quality usually offered by very fresh fish. It was a little lacklustre but the accompaniments were fabulous. 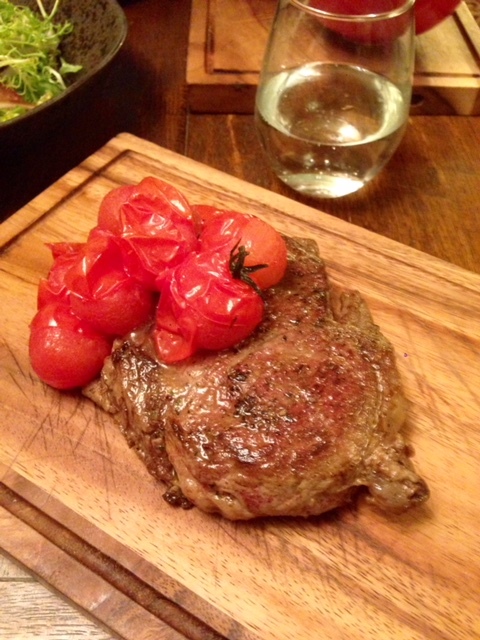 The 10oz ribeye steak (£22) was cooked medium-rare and oozed with the flavour of well reared meat, and was generously studded with grilled organic plum tomatoes. The red wine jus (£3) was well reduced yet still allowing the original wine’s nose to be discernible, no mean feat by any means. The seasonal vegetables (£4) had been just ever so gently steamed, with a delightful crunch and their bright colours still on show. 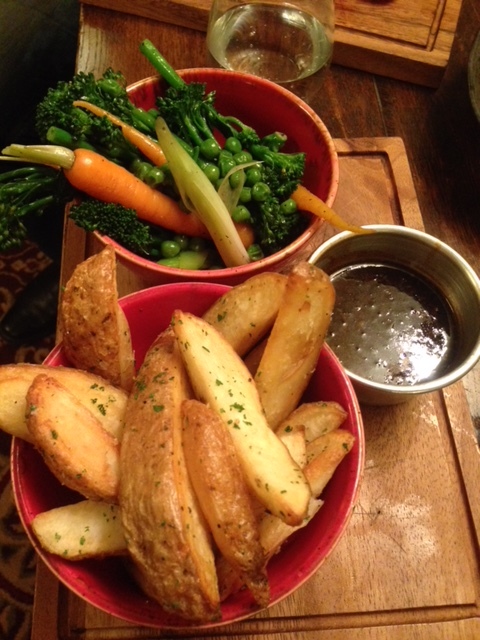 The side of hand cut chips (£4) were chunky and rustic. The bread was the common wholemeal variety, so little disappointing considering the strength of the rest of the food. We thought a strong, good sourdough would have worked really well here. A dessert of raspberry panna cotta (£8) was a joy to eat, with wonderfully prepared laywer of raspberry tea jelly, pistachio crumb and granite. Yum! We stayed the night and our room was upstairs – a bridal suite with a spacious bathroom containing his and hers and an old-fashioned bathtub and quaint antique furniture. 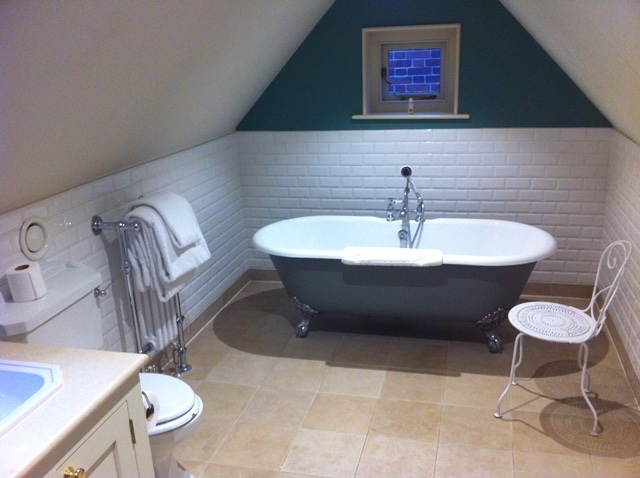 The room was impeccably clean and smelt wonderfully fresh. The heating was so powerful, you would not need to wear pyjamas to walk around in the middle of winter. It didn’t contain the softest of bedding, but the room still offered a charming overnight experience. 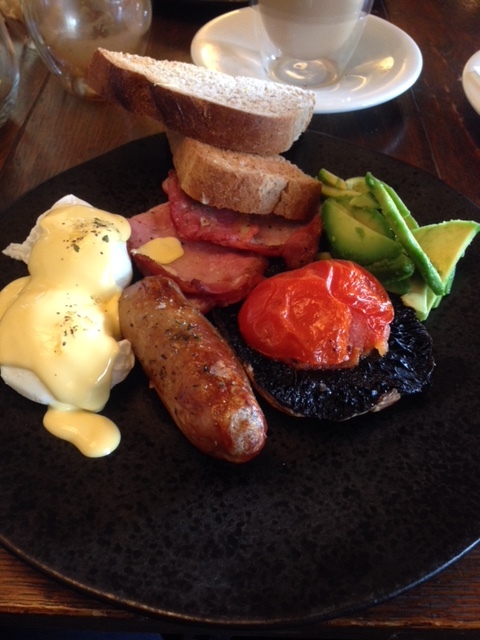 In the morning, we spent over an hour savouring our full English breakfast. We requested a change from the usual boring baked beans with avocado, and the standard fried or scrambled eggs with eggs benedict. And the staff duly obliged! The homemade hollandaise was a delight and truly delicious. Overall the breakfast was wonderful. What a treat! We had arrived on a Saturday late afternoon so there hadn’t been enough light for us to peruse the outdoor garden. In the morning our eyes were treated to the sight of a very pleasant garden at the back of the pub with English white cast-iron garden furniture. There was also a crab apple tree with bright scarlet fruit ringed by yellow leaves serving as a backdrop in the high blue sky. This garden would no doubt make for a wonderful spot for afternoon beers in the middle of the summer. The service The Stag and Huntsman was excellent: genuinely friendly, tactfully watchful, yet not obtrusive at all. The staff genuinely looked as if they loved what they were doing and as a result they offered up the perfect balance between efficiency, watchfulness, friendliness and reserve. We really had a nice stay at The Stag and Huntsman. The overall experience of dinner, bed and breakfast was truly enjoyable and charming. 1) The entire venue was a delight. 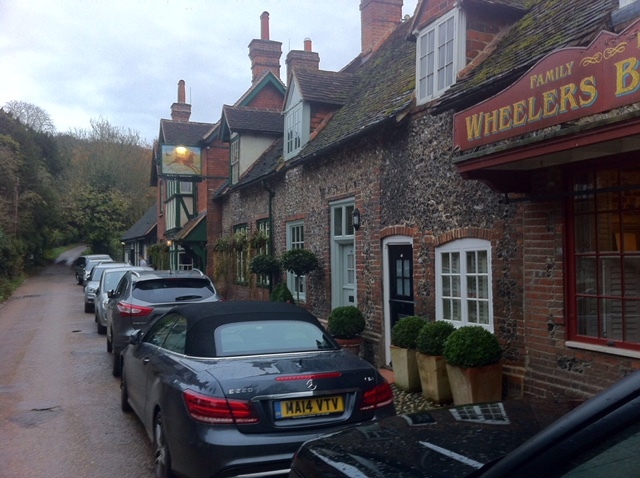 3) Hambleden itself is worth a visit. 1) The fish dish was the weakest link. Price: About £30 to £40 a head for food, excludes drinks and service. For room rates, check with the venue directly. The Remedy Wine Bar and Kitchen in Fitzrovia is a cosy, intimate collaboration between David Clawson and Renato Catgiu. The pair met while working together at Terroirs, a Covent Garden restaurant and wine bar which, as most foodies will know, is regarded as having pioneered the “natural” (organic and/or biodynamic) wine movement in London. At Remedy, the team have lovingly curated a list of some 100 natural, low intervention wines from both classic vintages and maverick producers from around the world, and all sold at reasonable prices. The menu at Remedy is an all-day one, ranging from breakfast to dinner. The morning offering consists of coffees from Climpson & Sons, juices, pastries, breads and such like. For lunch there are tasty sounding sandwiches and reasonably priced mains. 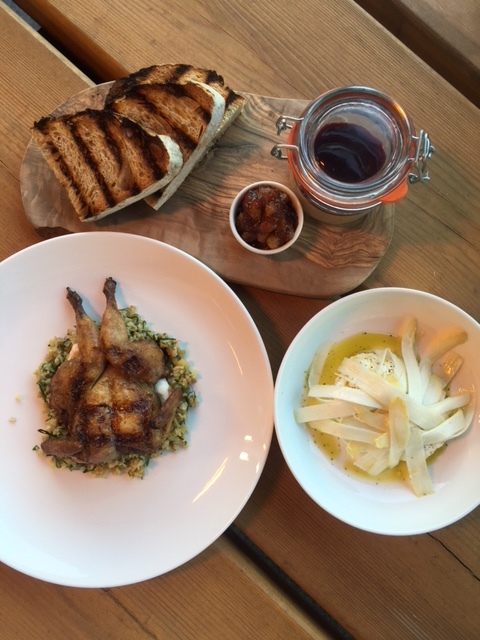 The evening menu at Remedy is more comprehensive and included a range of snacks and sharing boards with cured meats from the Ham & Cheese Co and cheeses from Androuet. 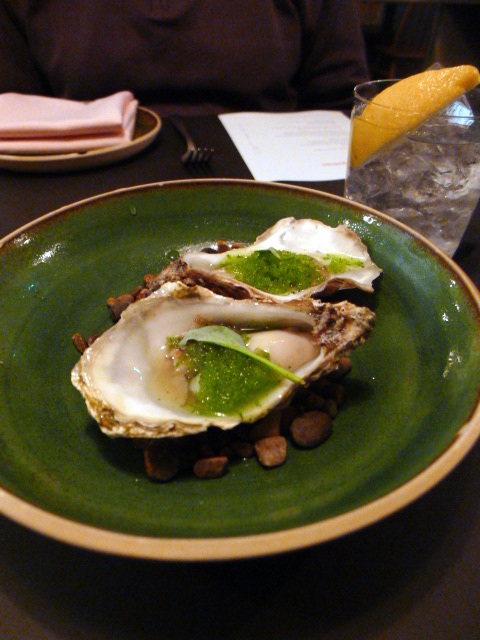 There were also oysters, seasonal small plates and a delicious sounding array of sausages. We began our meal with a rabbit terrine with crostini (£5) which was absolutely delicious. 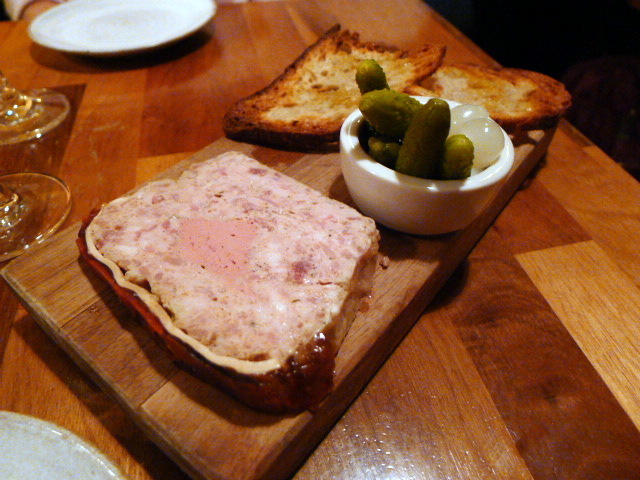 The terrine was tasty, moist and well-seasoned, with just the right of amount of fat for flavour. Yet at the same time, it wasn’t overly fatty which terrines can sometimes be. This terrine was pure flavour and a true joy to eat. This was some heartfelt cooking at its best. The Frog is the latest restaurant by Adam Handling, one of the most notable young chefs on the London restaurant scheme. He first came to fame as a finalist in the 2013 series of Professional Masterchef and was the youngest person to be tipped by the Caterer magazine as one of the ‘30 under 30 to watch’ in the 2013 Acorn Awards. In September 2014, he became the head chef at The Caxton Grill by Adam Handling in the St Ermin’s Hotel, a fine dining establishment for which he was awarded three AA rosettes. Adam was also recently featured in ‘The World’s Best Food Magazine’ FOUR, as the ‘one to watch’ for 2016. With The Frog, Adam brings his love of Asian flavours and techniques to his menu which is very in vogue, with small sharing a la carte dishes priced at around £10 each, as well as a daily-changing tasting menu priced at £45 per head. The restaurant itself, located in Shoreditch, is much more low key and rather eclectic in taste. The floors are concrete and the finishings are bare. It feels grungy, made somewhat odder by the mismatched outdoor space perched under an awning. The food was very good, and in some places great. There was lots of skill and flair on show, even if I did occasionally find the dishes somewhat heavily seasoned in parts. 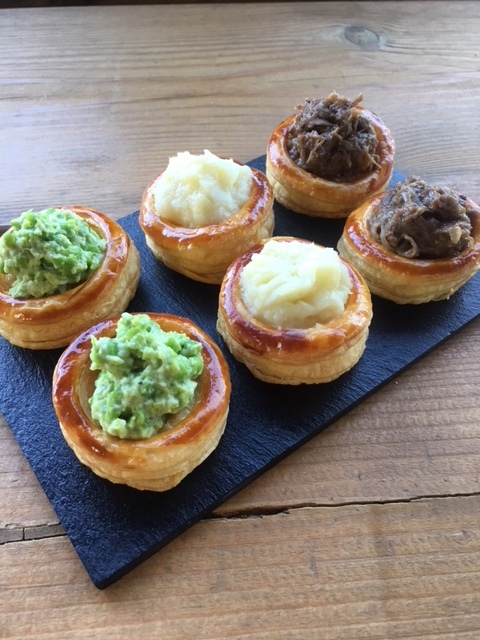 We had the tasting menu which began with a number of canape sized snacks. The first was chorizo, cheese and onion, a lovely and crispy croqueta made with chorizo and served with treacle for a touch of sweetness and some onion puree for contrast. 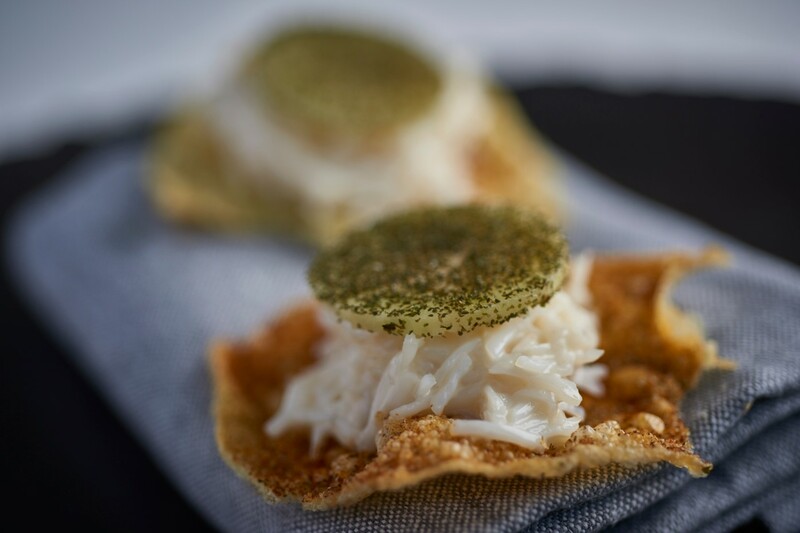 Other snacks included a delicious and freshly dressed crab with seaweed and green apple. This too was tasty if a tad salty. My favourite of the snacks was a beef tartar with egg yolk perched upon a beer cracker. The beef was meltingly tender and packed a punchy flavour. 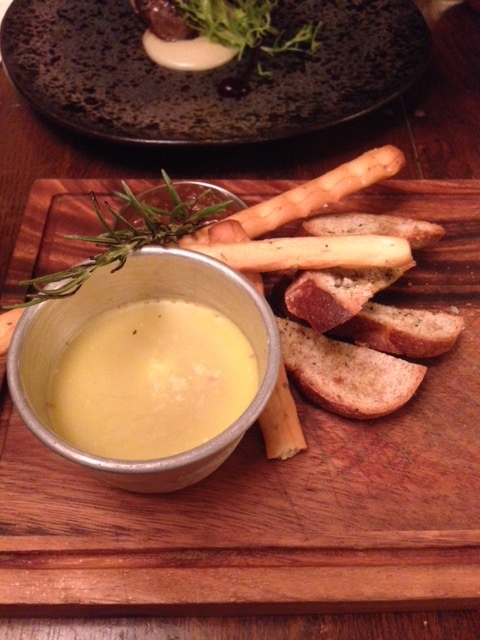 Warm bread made from hackney flour followed, served with a delectable chicken butter. Noble Rot Restaurant and Wine Bar is located on quirky Lamb’s Conduit in Bloomsbury and is run by Dan Keeling and Mark Andrew, the same pair who founded the well-known wine magazine of the same name, Noble Rot. Wines obviously play a key part in this Parisian-styled wine bar, but the sizeable dining room serves a seasonal British menu which changes regularly. The kitchen is headed by Paul Weaver who has worked at both St John Bread & Wine and was at The Sportsman for 5 years. Noble Rot also has another link to The Sportsman, with chef/owner Stephen Harris acting as a consultant. 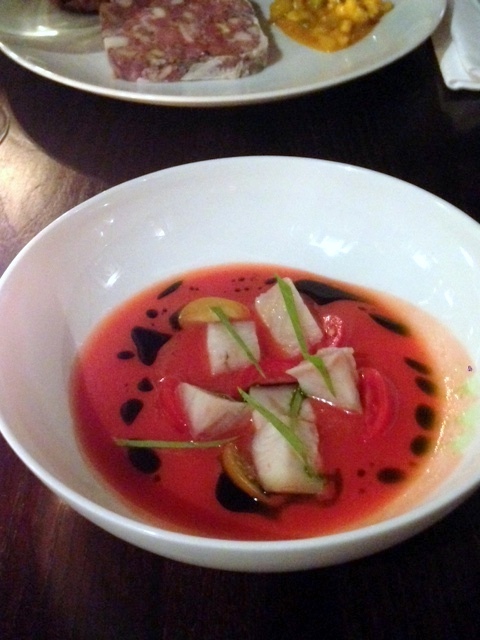 Our first course of gazpacho, Lincolnshire smoked eel and lovage (£8.50) was lovely and fresh. The sweet and slightly tangy gazpacho was richly intense with flavour, and it married wonderfully with the smokiness of the delicious, fatty eel. This a wonderful dish, packed full of punch and finesse. Picture Marylebone is the second restaurant after the originally named Picture Fitzrovia, an independent restaurant venture serving small plates inspired by British seasonal ingredients. Behind the scenes is a team that previously worked at the Arbutus Restaurant Group, Alan Christie and Colin Kelly who were both head chefs at the Michelin starred Arbutus, and Tom Slegg who was the restaurant manager at the similarly Michelin starred Wild Honey. With its minimalist interior, Picture Marylebone is a picture of pared back urban chic. For lunchtime dining, it provides a perfectly smart setting. For evening dining, the lights are dimmed for a more intimate vibe, with the dinner menu consisting of both a six-course tasting menu priced at £40 and an a la carte menu divided into three savoury sections (vegetarian, fish and meat) plus dessert. Reasonably priced, the food at Picture Marylebone was also excellent. We began our meal with a prettily presented ravioli of caramelised onions (£9). This was a very tasty dish decadently oozing with lots of delicious butter, which for some, might have made the dish too rich. However, I really enjoyed it. The pasta was al dente and the onions were delightfully soft and sweet. 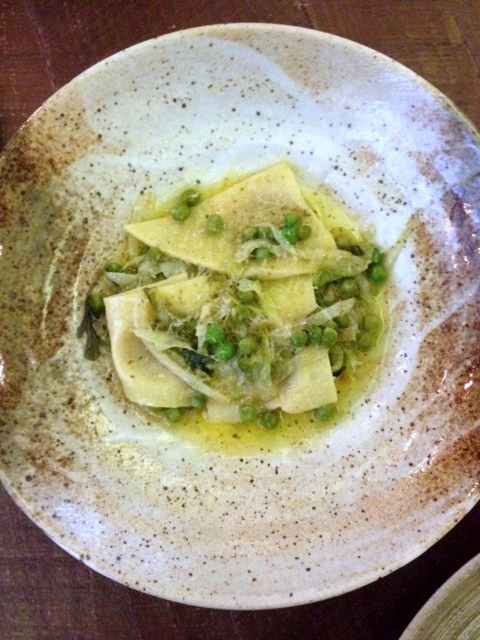 A nice mixture of fresh peas, lettuce and pecorino rounded off the dish nicely.